The D’Aguilar Art Foundation is delighted to announce that we are taking part in Transforming Spaces weekend on March 17th & 18th, 2018. 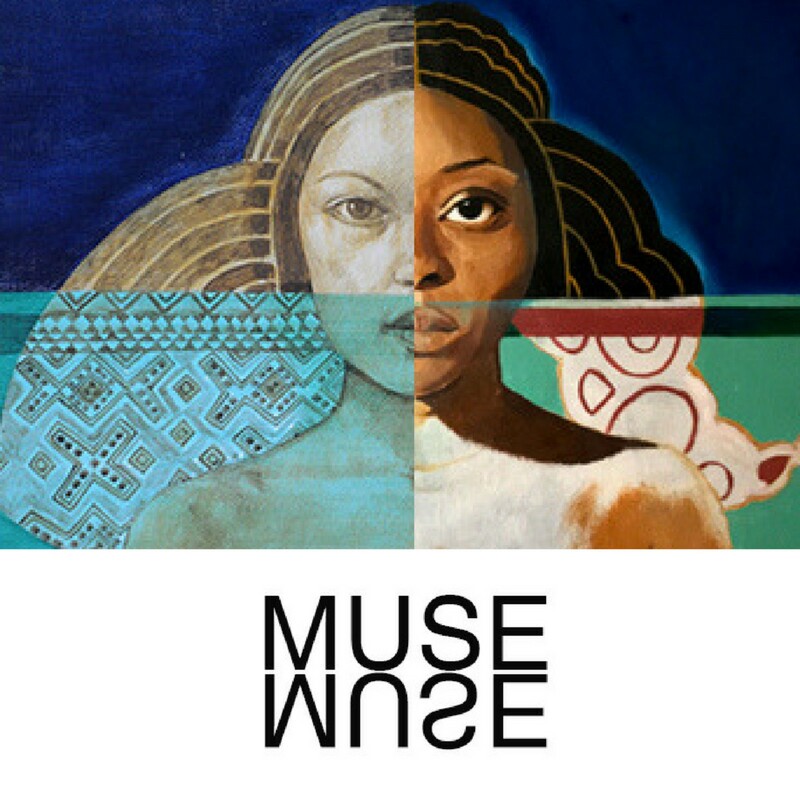 We will exhibit new paintings by contemporary Bahamian artist Allan Pachino Wallace alongside a selection of works by the late Brent Malone in an exhibition entitled ‘MUSE’. For this exhibition, Pachino will respond to specific paintings by Malone to highlight the practice of working from the figure as muse over the past half-century in The Bahamas: from the 1960’s to present day. Inspired by Malone’s extensive work with live models, Allan Pachino Wallace takes on the tradition of finding his own models to work with for this exhibition. This is quite the separation from his own artistic habits: up until recently, Pachino mastered the human form by practicing out of his own imagination, rarely looking to a live-model to reference for ideas. Using a model as a muse is a long-standing artistic tradition; often the reciprocity between the artist and model influences the artist to consider aspects of their work that they would not have otherwise explored.This is best exemplified by one of the paintings Pachino created for this project (see above article) for it, Pachino works directly from his wife Kereen, resulting in a piece that emanates an intimacy that is just not found in the Malone painting that inspired it. MUSE will explore this complex artist-muse relationship developed through the live-model process. The artist-muse relationship is so important to the creative process that the very word muse derives from the goddesses artists worshipped in exchange for inspiration. The Muses, (derived from the latin Musa or greek Moisa) were thought to be the protectors of the arts, and were originally inspiring goddesses of poets in particular, although their symbolism has grown to represent inspiration for a range of visual arts and sciences. The sentiment still remains the same, however: a beautiful being, usually a woman, providing ideas that inspire great artists to do their best work. It is quite a romantic notion. The religious symbolism has not dwindled in it’s modern iteration: current artists like Pachino also assert that their inspiration comes from a higher power. “I look above to get my inspiration,” Pachino claims in an interview with the Central Bank of the Bahamas. “My inspiration comes completely from God.” This is not dissimilar to greek poets praying to their Muse for melodic ideas; Pachino’s reliance on a religious figure to provide him with inspiration aligns his practice among artistic masters throughout history. The artists’ search for ideas outside themselves gave way to lore surrounding the very inspiration. Thus, creators also sought to find their muse within their own environment: such is the case with poets, crafting melodies from sounds of the wind among trees; or scientists, who search for their muse in answers to the question why. Brent Malone was no different. His interest in history is visible through his capture of historic peoples and events, but his portrayal of historic tradition always grounds itself in his capture of figure, and he still looks to the physicality of the models he chose for inspiration. Often accompanied by heavy movement and great symbolic detail of historical events, these pieces are centered by Malone’s mastery of the human form. The complexity of inspiration in Malone’s work is not lost to Pachino; his own interest in history has also blended with the ideas his God/Muse has provided him with. He similarly looks to his environment for inspiration:“I look at everything around me,” he says, explaining what this means to his practice. “I believe everything was created [by God]...and that inspires me a great deal.” As a result, Pachino’s paintings depicting historical narratives are softer, almost dream-like; signifying the spiritual influence they were born out of. For Pachino, Brent Malone’s work has become a muse in and of itself, inspiring him to create in ways that he would not have previously considered. Fascinated by Malone’s process, Pachino uses this exhibition to explore the relationships Malone developed with his many muses. The result is a show that highlights the figure as an element that grounds the work of both artists. The exhibition brings together paintings of Malone and Pachino that showcase this intimate and reliant artist-muse relationship. MUSE forces Pachino to blend practices with a master, resulting, hopefully, in oevers that are as complex as the Muses that inspired them. MUSE opens next week Thursday, the 17th and 18th of March for TS weekend.You can visit the gallery on the TS bus tour, or on your own, but you must buy a ticket. Please visit www.tsbahamas.com to find out more.